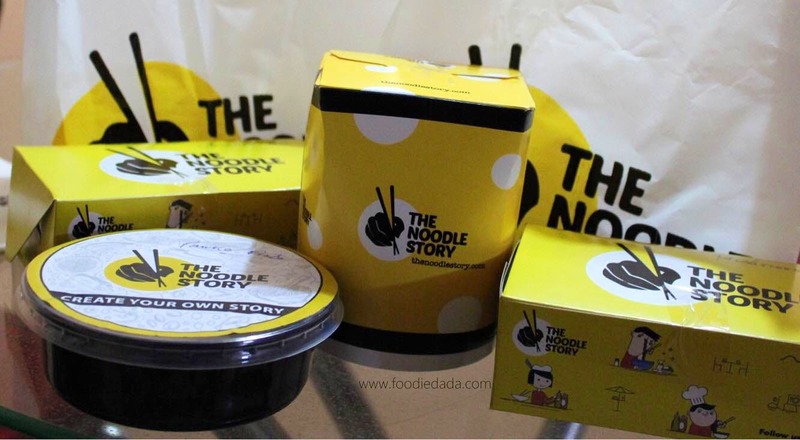 The Noodle Story Opens Up Another Outlet In Kolkata & We're Definitely Going! A couple of days back, I went to this newly opened outlet called The Noodle Story at Navina Cinema on Prince Anwar Shah Road. This is a QSR serving oriental place and has branches in several city malls. For starters, I tried their panko crusted fish, mushroom and Char Sui Bao. All the items were really amazing. The panko crusted fish is a must try item. For the mains, you can actually choose and construct your meal. You can pick your veggies, noodles, proteins and toppings. I tried the udon noodles in Japanese sauce with chicken and fish in there with a burnt garlic topping. It tasted pretty darn good! A bit less service time for group orders will be appreciable. Must try the panko crusted fish and Char Sui Bao for sure. Every ingredient you add to the noodles comes at a separate price, so your final bill depends on the ingredients you are choosing. The noodles are served in boxes and are really easy to carry.